Former author and proofreader/editor/fanfic troubleshooter. And I wrote part of something. Check it out if you're into Luna-centric melancholy. Avoid it if you aren't. Roughly six months after the commissioner contacted me, Taking Care of Animals is live. I've got the whole thing pre-written, so I'll be releasing chapters on a somewhat smooth, quick basis (as per the commissioner's request), and then. It's been a month since I finished up on Human After All, and views / votes seem to be leveling off. I figure now's the best time for me to talk a bit about the project, since it's still (mostly) fresh in my mind. Note: (wo) in parenthesis was meant to imply this blog's title can apply to either gender, not that this blog is going to be a rant against women. "If no one says who put this thing on me, I'm going to murder every last one of you." So, apparently I'm going to start off my October story posting extravaganza with all the reliability of a bureaucracy: by re-releasing something no one's heard of in the middle of November. It's a great plan, what can go wrong? This is how I feel whenever I tell people a pun. Chris, over at OMPR, asked several people for some guest posts to cover for his end-of-July vacation. I was one of those people, so I ended up writing a review of Seattle_Lite's Divergence. I had fun doing it; not only is Seattle_Lite one of my favorite hipsters in this fandom, but Divergence is one of the first stories I read in this fandom. ...today I got seventy-seven words into a rough draft before I realized that I cannot write third-person. Ah, I have a blogger's dilemma. 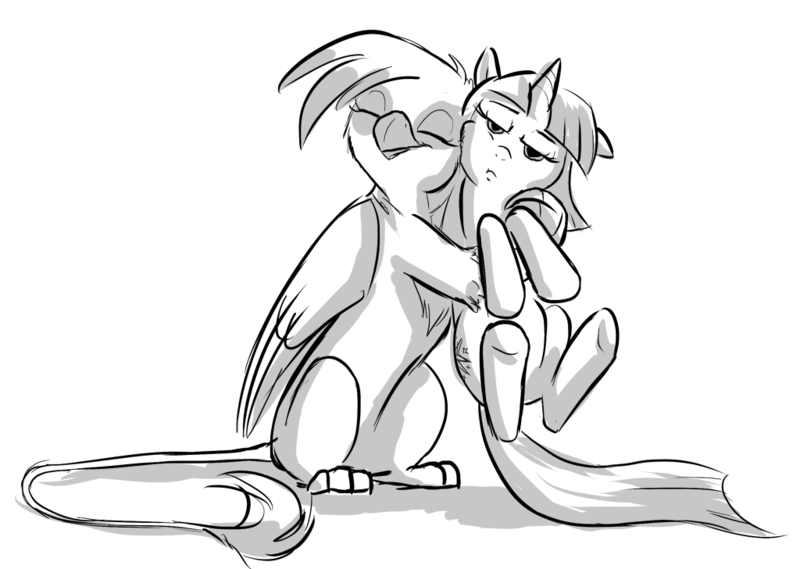 On the one hand, there's a cute picture of Gilda on my userpage. On the other, I have some things I want to say. I think I've found a compromise; read on past the image and break for some announcements and stuff. A compromise. Also, this is either a tiny Gilda or a giant ball of yarn.